Heiser Ford Lincoln in Glendale has Incredible Lease Deals! 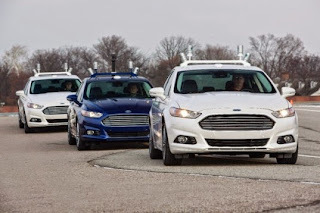 Earlier this year Ford Motor Company announced that it is partnering with the Massachusetts Institute of Technology (MIT) and Stanford University, to research the technical challenges surrounding the future of autonomous driving. The teams will use Ford’s recently unveiled Fusion Hybrid research vehicle, which utilizes four Lidar sensors to generate a real-time 3D map of the vehicle’s surroundings. The aim of the research is to develop a system which gives the vehicle a human level of intuition when it comes to assessing and adapting to visual clues in its immediate environment. Did you read the good news about the Chevrolet Impala being named the "Best Large Car" by Consumer Reports? This was quite an accomplishment from a Detroit automaker! And, Heiser is proud to carry the Impala model at both our Chevrolet locations, in West Allis and West Bend! "This car is a really impressive vehicle and came such a huge way from where it was in redesign---it was really incredible," Jake Fisher, Consumer Reports' director of automotive testing, said in an interview. GM vehicles "are showing stronger reliability, are more fun to drive and display technological advances that traditionally would have first appeared in import-brand cars." The magazine's annual car issue went on sale this spring.